I am watching an intriguing phenomenon in American education that has long-term implications for our economy and China’s political life. There is a large and increasing influx of high-paying Chinese students from China coming to the United States for high school and college. 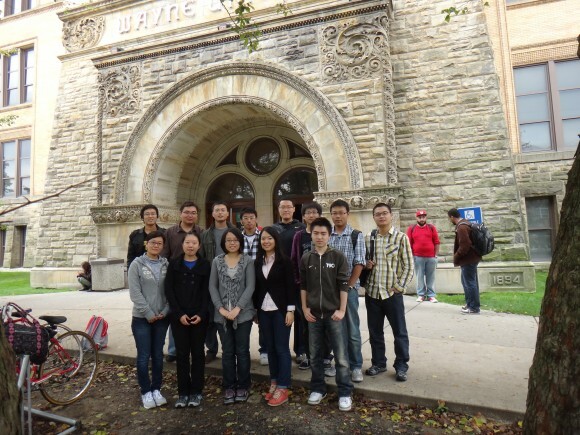 The University of Illinois has 600 students from mainland China in the Freshman class, 10% of the enrollment. Other colleges have taken a similar course. On average, the international students are paying twice as much as in-state students. There is also a significant flow of high school students attending private schools around the country. Some have sprouted up specifically to attract affluent Chinese, who will pay over $40,000 a year in tuition for elite schools. The media often decries American higher education for dumbing down the requirements for a degree, and many stars in Silicon Valley say college is for dummies. After all, Steve Jobs, Bill Gates, and Mark Zukerberg all dropped out after Freshman year to start their companies. But Chinese parents and kids crave the American high school and college experience. Anecdotally, they say the reason they come here is to find “creativity,” which they see as the Holy Grail missing from Chinese education. Ironically, the Zuckerbergs and Gates’s left college for the same reason. Peter Thiel, the venture capitalist who backed PayPal and Uber and other phenomenally successful new enterprises, has made a public splash by advocating that creative young people forsake the college path to follow their muse and their dreams rather than getting bogged down in Botany. But the Chinese are pouring in because they think “creativity” is in the soil in Champaign and Bloomington and Austin. Those Chinese parents and Peter Thiel are probably both right. For a Harvard dropout like Zuckerberg, Cambridge, Massachusetts, is sterile compared to an Animal House in Palo Alto where he lived while growing the nascent Facebook. But for 15-year-old kids from Shanghai, the intellectual freedom available at an elite American high school could be a boon. On the other hand, for the Chinese elites running the Communist Party and trying to cope with ferment in Hong Kong, thousands of American educated young people heading back to the country from years of freedom in American universities may be rather scary. The Chinese experiment with an authoritarian state apparatus and an economy fueled by independent entrepreneurs may be headed for a big collision. The Chinese government leaders have to be wary of a Jack Ma, the charismatic founder of Alibaba who found backing from Jerry Yang of Yahoo and Japanese entrepreneur Masayoshi Son to grow his phenomenal online business. Jack Ma is a one-in-a-billion guy who could somehow finesse his business around the Communist Party and endless government meddling to grow the company a million fold in a few years. A former English teacher, he is a self-taught entrepreneur. He did not find his creative mojo at Stanford or Urbana. Will there be an English teacher like Jack Ma coming out of the 600 kids enrolled at University of Illinois in the class of 2018? Highly unlikely. Most of the students are starting out in Math and Science, with 3% in Liberal Arts. Meanwhile, I await the pushback from Illinois parents and young people who missed the cut at Champaign because of 600 full tuition payers coming from the Chinese Mainland. Question 1: Is college worth the debt? Question 2: Can you teach creativity? University of Illinois is kind in terms of out of state tuition. At the University of Michigan, out of state students pay just short of 3 times the in state tuition rates. In the late 80’s when I was there, there was already an issue of foreign students in the professors minds. My 400 level fiber reinforced composites prof looked at our small class of 30 or so, and asked how many students were US citizens (everyone), then he asked how many were going onto graduate engineering degrees, no one raised their hand. He estimated that 1/2 of engineering grad students were foreign born and that if anyone in the class (of US born) wanted a full ride for graduate tuition, all they had to do is TA one class a semester and he could get it all paid. He was seriously concerned about the lack of US born students with graduate engineering degrees staying in the US. He saw a possible technology gap all the way back then. I had the same experience in Engineering at The Ohio State University back in the mid-late 80s. Professors were begging US students to continue with grad school. Full ride scholarships were available and dangled as incentive. Part of the thrust was research grants related to Defense projects that required US citizenship. I wonder if such grant restrictions still exist? I had a good job lined up & left to join the working world as did most of my US colleagues. Generally I do not believe college is worth the debt. I will say one should pay for what the want and NEED to achieve what the desire in life. But not on my nickel with US backed student loans. If this needs further explanation then a basic course common sense is needed badly. It is not valued if not earned. Creativity is a direct result necessity. That is why we are creating the largest welfare country on the planet. The creative process starts when you need or want something. Then you create to obtain. But creativity with out morals from God are generally empty. I get their point. Hard to foster and grow creativity in an oppressive environment. While China is ever-evolving, it will take a long time before “freedom” is a meaningful idea there. Theoretically, here we are free to think, and more impotently share ideas and consume the ideas of others, whether agreed upon by our government or not. We may be flawed as a country, but our strength will always be the free flow of thought. That’s a creativity incubator. A repressive government like China’s is a Resentment Incubator. It’s good for them, but more importantly, it’s good for us in the long term. We need to be able to trade with them. If a significant amount of students enter professional life with an understanding of and fondness for free speech, things will eventually open up between our countries. Education is a business – never let anyone tell you otherwise. 1) The colleges and universities are pricing them selves out of the market of middle class American students/parents. So, they are marketing to people who can afford it – foreign students with deep pockets. 2) College is not for everyone, we like to think that little Suzy and Joey need college just to find a good job and have a happy little life. The reality is crazy high debt for a job they may/may not find – I think people are opening their eyes and rethinking about that debt and maybe other education options. In my view that is not a bad thing – that means they are looking at technical and community colleges that get people into the work force (and maybe manufacturing) for a lot less money and B.S.